It’s not possible that summer is almost halfway over! 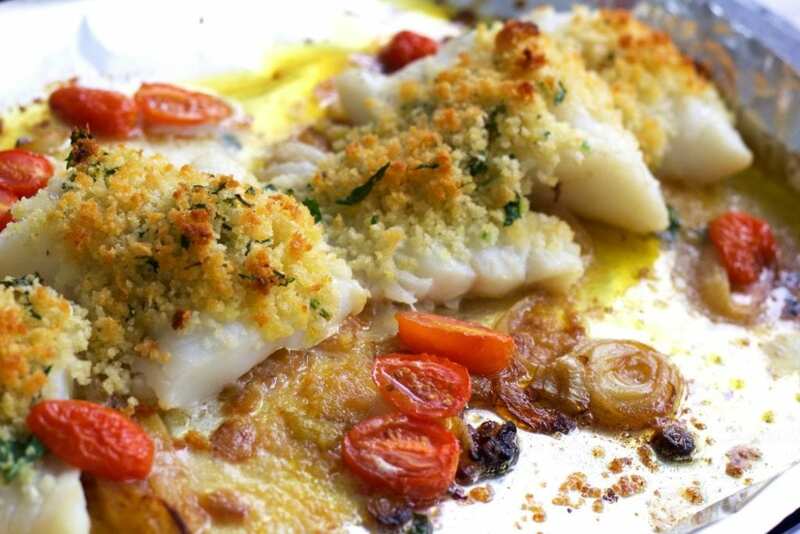 I have to stay positive and focus on the rest of the hot and humid summer days and keep making fresh dishes like this baked cod with caramelized onions and cherry tomatoes. I would eat fish more than once a week if my family wasn’t such big pasta and chicken fans. I have my stand-by salmon dishes and then there are the stand-by white fish dishes (like this cod dish!!). You have to try this cod. If you aren’t a big fan of fish in general, this dish may be the game changer for your weeknight dinner recipe. I swear it is really so easy to put together and you doesn’t break out that much of a sweat. 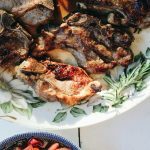 If you are opposed to turning on the oven, I suppose you could even bake it in a grill safe casserole on the grill (or even in a cast iron grill). I’m not that much of a grill master, so I will suffer with 20 minutes of a little heat in the kitchen when the results are this delightful! 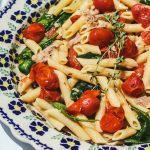 My kids just love the flavors and I really think it’s the caramelized onions and the lemon juice that make this fish dish possibly the most perfect summer dinner. Super easy to put together!! You just have to prep the panko topping and set aside. Next up is to caramelize the onions while the oven is heating up. I lined my casserole with aluminum foil. You then layer on the onions and layer on the fish. Drizzle on a little olive oil and salt and pepper to the fish. Toss on the panko topping and the cherry tomatoes and pop in the oven and wait for the magic to happen. 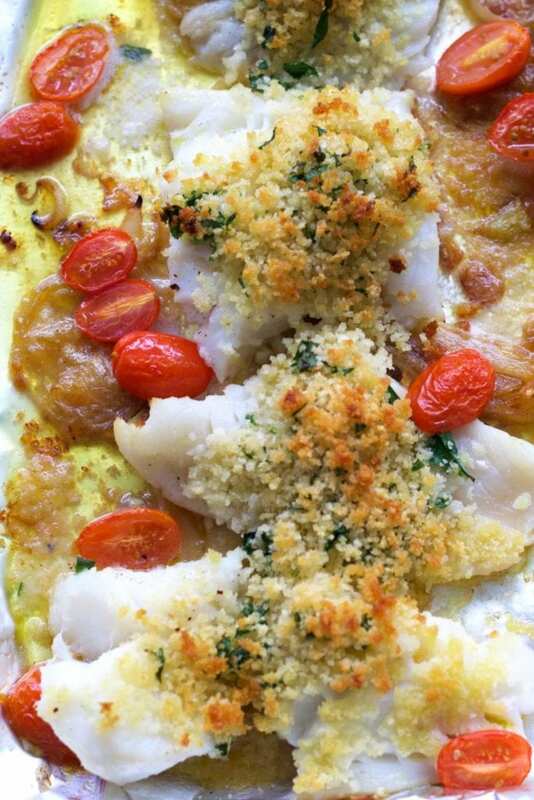 The crunchy panko crumbs bring new life to this baked cod dish. 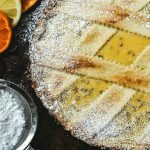 After the crunchy bite from the topping, you will be delighted with caramelized onion and lemon flavors which is absolutely delicious. In a skillet, saute the onion in 1 teaspoon of oil and 1 teaspoon of butter until they are caramelized. In a medium sized bowl, combine the panko crumbs with 3 teaspoons of chopped parsley and 1 teaspoon of melted butter, 2 teaspoons of olive oil, and the juice of half the lemon. Once the onions are ready, add salt and pepper. Add the lemon juice and the white wine to the onions and continue to cook for 1 minute. Spread the onion and lemon mixture into a large casserole. 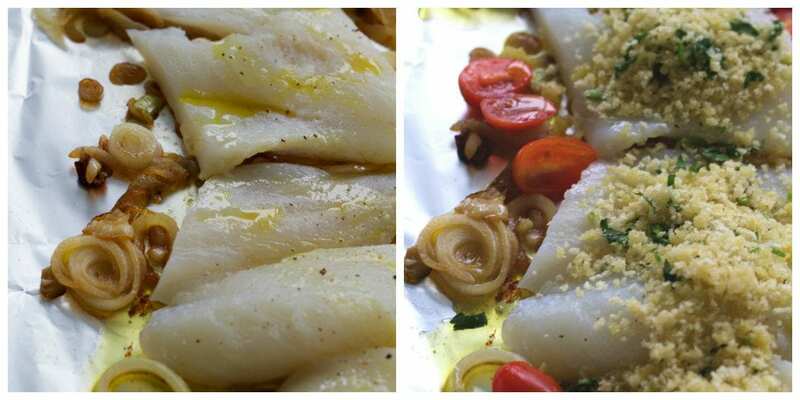 Place the fish on top of the onions, drizzle on a teaspoon of the olive oil and season the fish with salt and pepper. Divide the crumb topping evenly over the fish and sprinkle with the rest of the parsley and toss on the cherry tomatoes. Bake for about 20 minutes until fish is cooked through and the crumbs are nicely browned. These pictures are seriously drool worthy! The panko crust just gives it that something special! 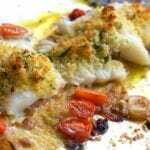 My entire family are HUGE fish fans, so this baked cod will go over delightfully well with them! Can't wait to give it a try. This fish looks incredible! In the past I've not made a lot of fresh fish dishes at home, but I've been trying to change that lately. Thank you for giving me another recipe to try! I loved baked cod. Love the crispiness of the panko! 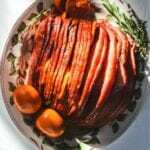 Caramelized Onions are so often forgotten. It is great you took advantage of them in this dish. This came out so perfect! Can't wait to try it! This looks amazing and is a much-needed reminder that we haven't had Cod in a long time! Need to fix that. This cod looks amazing! I need to try it soon!